JUNEAU, Alaska (Sept. 21, 2015) – Alaskan Brewing has realigned its distribution in Southern California by moving distribution to the Craft Beer Guild of LA. Alaskan has worked with the Craft Beer Guild in San Diego and seen sales and variety of offerings there increase markedly, a change that Alaskan Beer fans have enthusiastically welcomed. Craft Beer Guild will now distribute Alaskan Brewing products in Los Angeles, Orange County, Ventura County, San Bernardino and Palm Springs. "The Alaskan Brewing Co. has a long history of brewing excellence throughout the craft community, and Craft Beer Guild of LA is extremely honored and privileged to represent such an iconic brand throughout the greater Los Angeles area," said Robert Hodson, Corporate Brand Manager, Sheehan Family Companies. Craft Beer Guild plans on expanding the outlets for Alaskan Brewing products and increasing the product line offered. 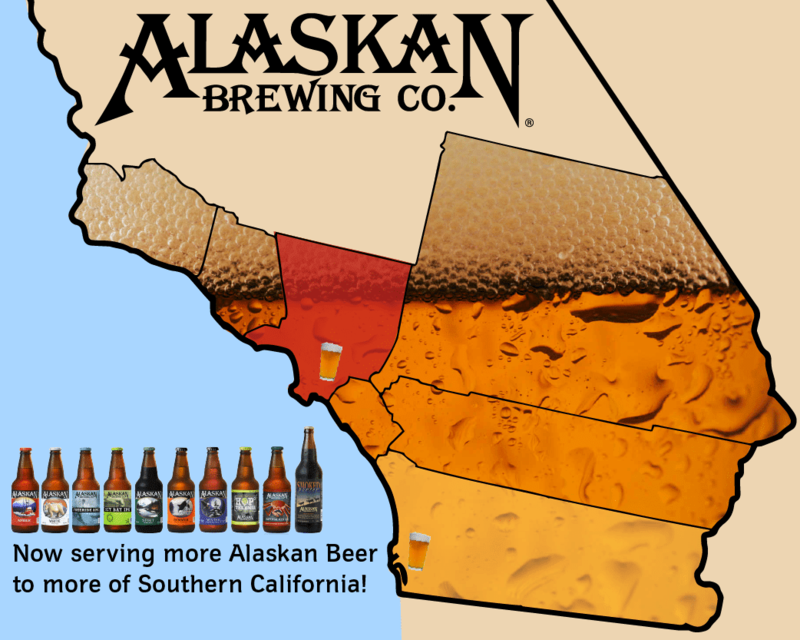 Alaskan Brewing has been distributed in Southern California since 2003, but with limited beer style offerings.